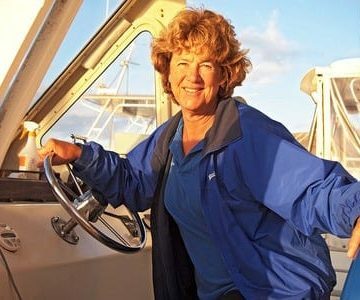 Captain Charlene has been a dedicated captain with Maui Classic Charters since 1987, longer than any other member of our team. She has crewed on several of our former vessels including the Teragram, the original Four Winds, and the Lavengro. Charlene now captains exclusively on the Maui Magic. Charlene was at one time the Hawaii State Women’s Slalom Windsurfer Champion. Hailing originally from Canada and then Arizona, Brennan has been with us since 1995. 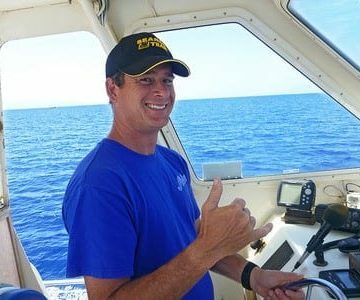 He serves as Captain on both of our boats, the Maui Magic and the Four Winds II. 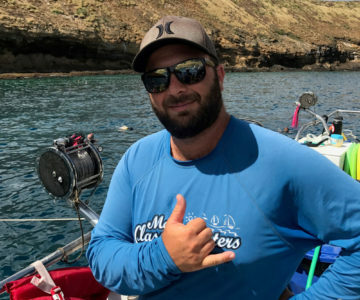 Known by Maui Classic Charters as our “Can Do” guy, Brennan is responsible for keeping our boats in tip-top shape. Brennan enjoys water skiing and mountain climbing in his free time. You’re in for an adventure when Captain Jason is on board. He is known as our very own “MacGyver”, prepared for any situation. 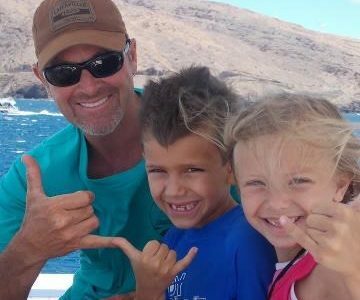 Jason has been with us since 1998 and captains both the Maui Magic and the Four Winds II. He is in charge of teaching our crew Advanced First Aid, CPR, and AED. He’s also qualified in Wilderness & Remote First Aid. 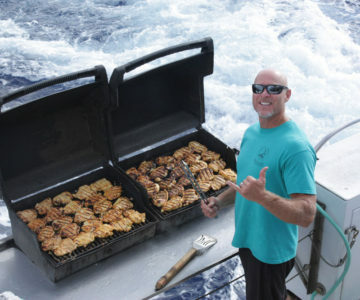 Captain Dan joined Maui Classic Charters in 2005. He is very knowledgeable and enjoys sharing the Aloha with all our guests on board! Dan moved with his family to Maui in 1971 and developed a love for the ocean. He was a commercial fisherman in Alaska from 1985 to 1994. Dan enjoys spending time with his children Kyle and Brooke, surfing, & scuba diving. Alex is our newest Captain and has been with us since 2013. Looking for a warm place to call home, Alex made the move to Maui in 2007 and hasn’t regretted it one bit. Having always been captivated by the ocean, ironically Alex hates the beach! During his free time Alex enjoys scuba diving, reading classic literature and hiking. 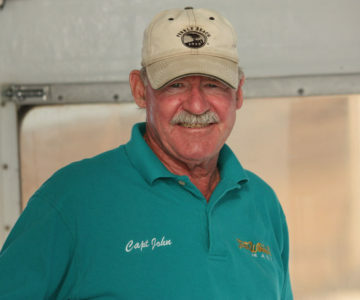 John served as a Captain on the Four Winds and Four Winds II since 1995. Not only is he an accomplished stand-up comedian, but also a golfer extraordinaire and a Chicago Bears fan to the very bitter end. “Cappy” John is an all-around good guy. John retired at the beginning of 2017 and he is greatly missed, but you may still be able to spot him on the Four Winds II when he makes a surprise guest appearance!